View cart “Salvador Dali 1974 Hand Signed Etching Cour du Lion Le Bestiaire de la Fontaine” has been added to your cart. 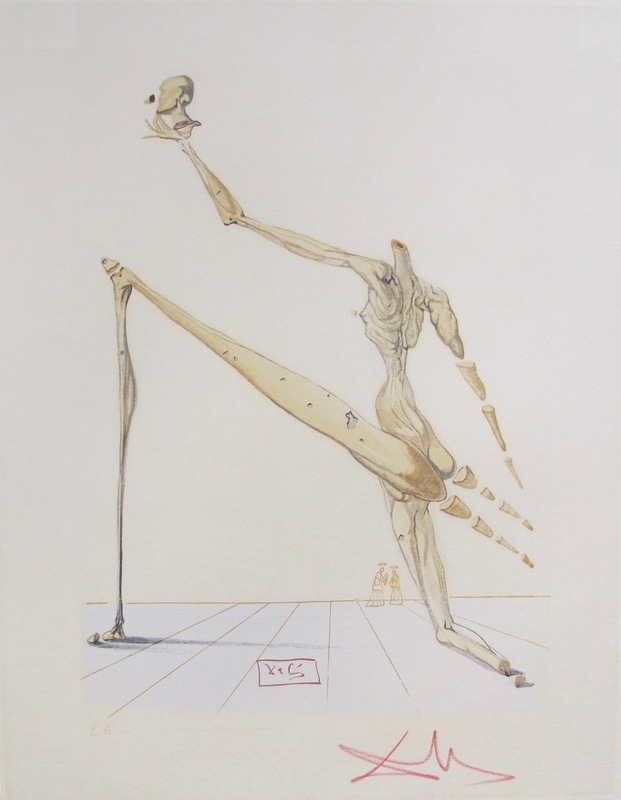 This is a Salvador Dali hand signed lithograph titled “Le Cavalier (Victory of Primitive Man)” from the 1976 suite “Les Vitraux-Le Jungle Humaine”. Hand signed in pencil by Dali, pencil numbered HC. Produced on arches paper. Sheet size is 18 3/4″ x 25 1/2″. Image size is 18″ x 18.75″ (45.72 x 47.62 cm.). Produced on arches paper. This lithograph was published in 1976 by Ethis and printed by Grapholith. Pulled at Atelier Lithographique in Paris France. This piece is also hand signed and stamped on the back by Bruce Hochman, a reknown Dali expert, who certified this piece as authentic. REFERENCE: The Official Catalog of Graphic Works of Salvador Dali By Albert Field on Page 176 76-2-A. In excellent condition, comes unframed. Comes with a gallery certificate of authenticity. We fully stand behind the authenticity all of our art sales with a full money back guarantee. 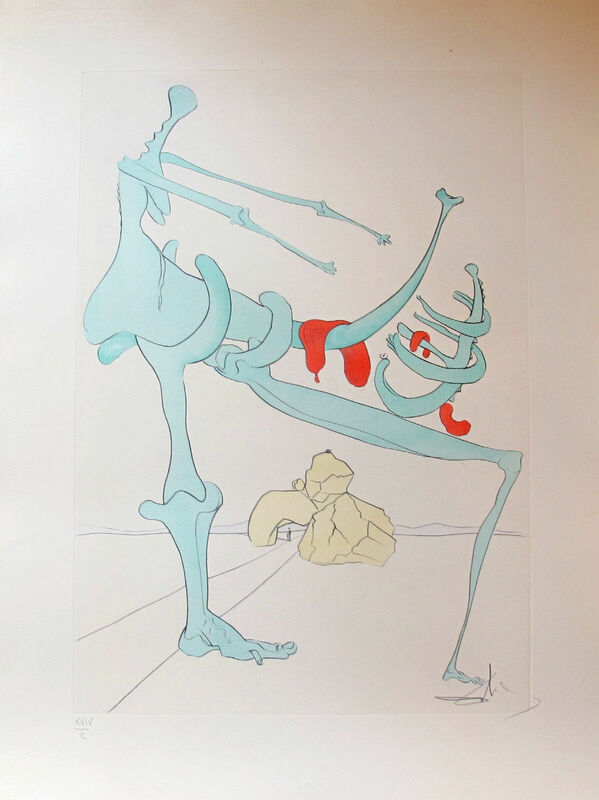 Be the first to review “Salvador Dali Hand Signed Lithograph LE CAVALIER Les Vitraux Le Jungle Humaine” Click here to cancel reply. Forgotten Treasurez® © 2019. All Rights Reserved.